In the early days, watches were just for telling time, but not anymore. Currently we have what we refer to as smart watches; apart from telling time, they can track your fitness data, capture pictures, make and accept calls. Technically, they can do almost everything a smartphone can do. At Jumia Egypt, we have different smart watch brands to choose from. Select from Samsung to Apple, Quartz or Fossil watches. At Jumia Egypt, you will find some of the top smartwatches. If you are looking for a smart sport watch, go for the Apple smart watch. Check also the Universal sports watches that are waterproof for water sports which also come with silicone straps, comfortable when doing vigorous exercises. If you are into stylish smart watches, you can go for the Fossil smart watch. For a multipurpose smart watch, go for the Samsung smart watch which will be able to monitor your heart rate as well as make calls and send emails. For any type of smart watch, check out our complete smart watch store and order online. At Jumia Egypt, smart watch prices are very reasonable. Here, we guarantee that we have whatever type of smartwatch you are looking for. For athletes looking for a smartwatch capable of mapping their routes, we have the GPS smartwatches. 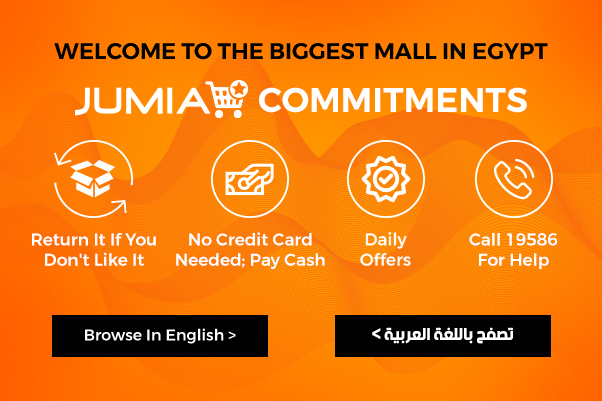 Order your smartwatch online today with Jumia Egypt.